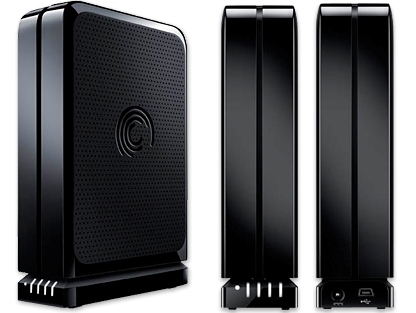 Hello , i need to buy an external disc , preferably a seagate , of 1 or 2 TBs , which one do you advice on www.pcandparts.com ? and what are the differences ? Update: Aghhhhh! i cant understand a thing , why External HDDS arent just HDDS anymore?! what are the expansion stuff, and why are they huge? what the hell is goflex? someone please explain in detail. Last edited by SysTaMatIcS; 10-11-2012 at 08:01 PM. okey , i dont understand a thing , please explain in detaisl , whats with power? what is it exactly? whats goflex? is it an external or internal HD ? what are its features? It is an external HD... with power ya3ne it has a power supply, needs to be plugged to electricity, not like some other HD that have just a USB cable... Goflex is just a name I think... I'm not into details and features like this, this HD was recommended to me by a friend. I advice you to buy it Slim USB Powered, way easier to carry around. Nahh i dont like WD , and i dont mind carrying extra weight to save since my $$ is limited , so more storage , less $$ . My knowledge about these is ZERO , on the website they provide limited information , so much information is appreciated , whats the difference? what are the features? both need independent power else than the usb ? need details pleasee.